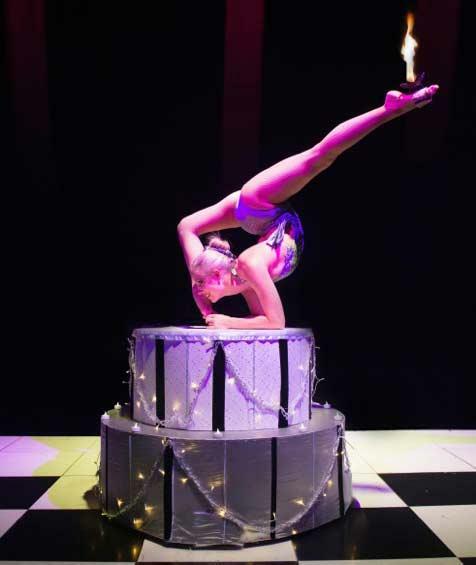 ‘The cake’ is a great celebratory act with limitless options and themes to suit a variety of events. It’s perfect for weddings, birthdays, valentines, Easter, Christmas and even more for anniversaries of any type of event. For example, it could be a 25th anniversary of a company. The full act is six minutes and performed to upbeat music with a style that is stylish and glitzy. 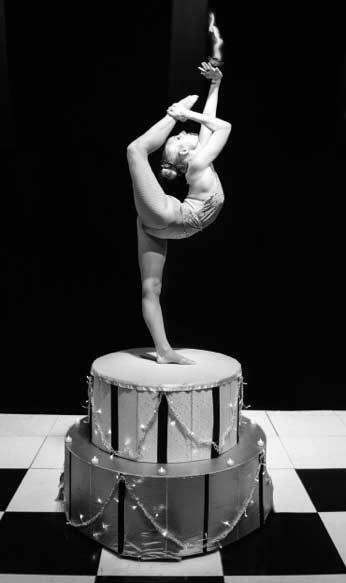 The cake is raised 1.3 meters high with lights so easy visibility to the audience. 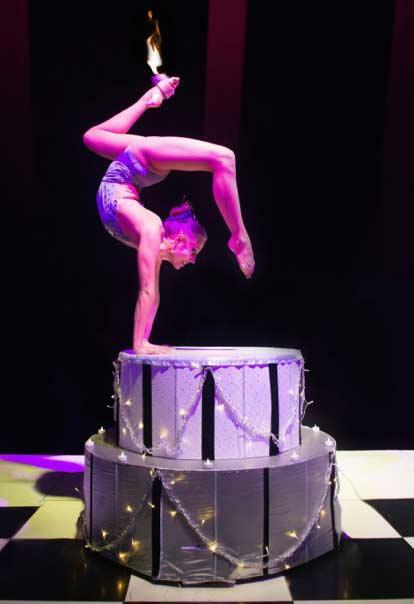 The act mixes balancing and extreme flexibility with fire in the feet and hands for the wow factor! Please also note that there are also sets available with two cakes. This can work for example with two cakes either side of an entrance for ambient entertainment. There are three other contortionists available and trained up for this act too. The cake decor can be changed to suit any theme if needed simply by changing the faces of the cake and replacing with the appropriate colour scheme or style to each event. Some examples of how the cake can be decorated can be seen in the images just to give other visual ideas to clients. The cake is on wheels so very easy to wheel on to stage into place.